Share 1000 Guesses – Guess The Number with your friends ! What is new in 1000 Guesses – Guess The Number? If you are up for a fast, quick puzzle number game each day, grab 1000 guesses. We dare you to guess your number in first or second try! Have fun with this guess my number game for free! In one of the most interesting guessing games for everyone you need to do a simple, yet so challenging thing: guess the number. 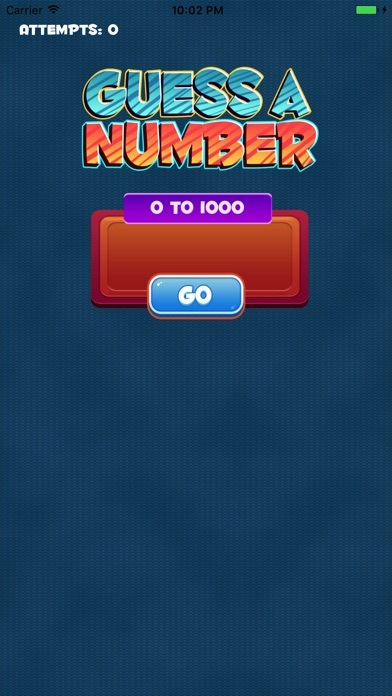 This guess my number game requires your logical thinking to be at top level and guess the number in lowest number of tries. Do you have the skills and ability to be the guessing number king? 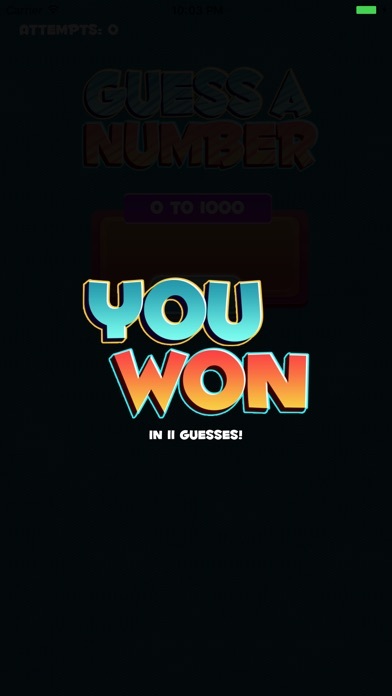 1000 Guesses – Guess The Number is a simple game in which the user has to guess a random number generated by the puzzle. It is an addicting game that is quick and easy to play and the gameplay keeps it simple and fun. Things can get addictive, so be warned. Your guesses may be close each time, but 1 try is 1 try. Each time you waste a try, your score is worse. So, the guessing game creates a notion that you will always do better next time. And here is where game gets addictive. Guess the number games like this one are never easy in such a wide range.